Krishna Kumari, 24, from Palpa arrived at the hospital complaining of palpitations. She felt her heart was racing. When she was 12, Krishna had fever and developed uncontrolled movement of her limbs and tongue for a month although she never lost consciousness. In her adolescence she also had painful joints and the pain migrated from one large joint to the next, such as her knees. But this too subsided over time with aspirin. Upon examination at the hospital, the doctor detected abnormal heart murmurs and asked Krishna to undergo an echocardiogram (pic, right) or an ultrasound of the heart. Findings from the echocardiogram revealed the patient was suffering from rheumatic heart disease, one of the most common heart problems in the country. Like many diseases in Nepal, Krishna’s illness has an infectious etiology. It generally starts out with fever called acute rheumatic fever (ARF), which is almost universally caused by a well-known bacteria called streptococcus, more precisely group A streptococcus that leads to pharyngitis or sore throat. Approximately three weeks after an episode of sore throat, rheumatic fever with joint pain may begin. In about 70 per cent of patients who suffer from the fever, joint pains are the predominant symptoms. Chorea (uncontrolled flailing limb movements that Krishna endured) is much rarer, experienced by only 20 to 30 per cent of patients. Around 60 per cent of those with ARF develop rheumatic heart disease. ARF is prevalent largely in developing countries because of poverty and over-crowded settlements. In medical schools in Nepal, listening to heart murmurs caused by rheumatic heart disease is an important part of training. The most commonly affected heart valve by rheumatic heart disease is called the mitral valve and narrowing in the region of this valve (mitral stenosis) causes a typical murmur. Students are extensively tested on their ability to pick up this murmur on examination of patients. The skill of carefully listening to heart sounds with the stethoscope and determining the kind of murmur and which heart valve it may be originating from is gradually disappearing. 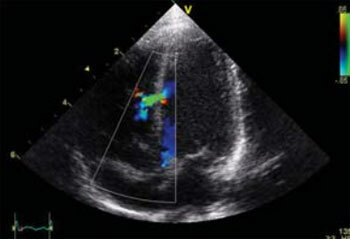 This is because it is so much easier to do an echocardiographic study and generally come up with a precise diagnosis. It would be ideal if doctors today carried out physical examinations with the same rigour as their predecessors and used echocardiogram to confirm the diagnosis. But the good news is that ultrasound technology is developing so rapidly that small, portable, and user-friendly echocardiogram machines are available for use even in remote corners of Nepal. What is most important in the treatment of rheumatic heart disease is monthly injections of penicillin. A sore throat caused by streptococcus bacteria is a very common cause of pharyngitis, which can easily exacerbate the heart condition of a patient with rheumatic heart disease. Monthly injections will hence be useful in preventing further valvular damage which sometimes requires surgery. Thanks to the immense and exemplary work of cardiac surgeon Bhagwan Koirala, who initially headed the Shahid Gangalal National Heart Centre in Bansbari, many Nepali patients now have access to proper heart surgery necessitated by complications of rheumatic heart disease. Prevention is better than cure, so proper, judicious treatment of sore throat with appropriate antibiotics will help avoid the problem in the first place.